Milano is a globally recognized brand that carries an Italian tradition, The brand is wholly owned by the Danube group. Established in 2006, the brand is currently registered worldwide. With a presence in Dubai, Abu Dhabi and other emirates in UAE, Milano is a trusted name when it comes to water purification solutions in the UAE. Milano has a strong network of commercial branches, distributors, dealers, representative offices and project partners all across the middle east countries. Milano brand carries a wide range of electronics and home appliance products. One of its main product range is water purifiers. 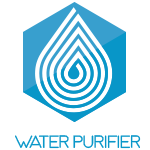 Below is the list of Milano water purifiers available in UAE. 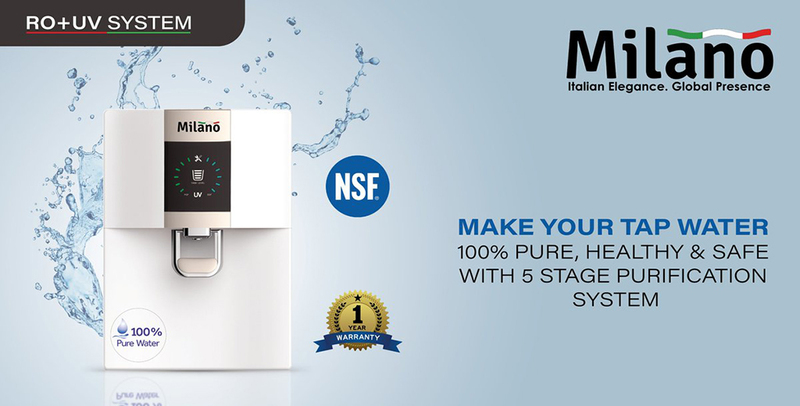 You can contact the dealers and distributors in Dubai, Abu Dhabi, Sharjah, Ajman, and other major towns to order a free demo of Milano water purifier. This gravity-based basic water purifier ensures safe drinking water for your family at an affordable cost. The Active Carbon + UF Membrane filters out odors of chlorine and other contaminants and provides tasty water. The filter removes impurities that can cause illnesses. According to the manufacturer, the Bacteria reduction rate is up to 100% and Chlorine reduction rate is more than 85%. The Milano RO+UV Water Purifier is one of the most popular models sold in Duba, UAE. The retail price is AED 1249 but you can get a good deal on Souq and similar UAE e-commerce websites. Contact a local dealer and they may be able to offer you better deals. One of the main attractions of the RO+UV model is, it is a very compact, modern and fashionable Italian design. It uses 5 stage water purification to ensure clean and safe drinking water and offers double protection using RO + UV technology. The post-UV lamp kills any microorganisms that are left out during the filtering process. The intelligent digital display gives instant look at the status. UF water purifier utilizes Ultra-filtration strategy to expel impurities from the water. It purifies water better than boiled water with hollow fibre UF membrane that removes large particles and dead cells. It does not allow any germs and dirt to pass through. A unique manual flushing system drains out all blocked bacteria and cysts which keeps UF water purifiers in top condition for many years. Milano UF water purifier is the best well-known model in UAE, You will find the full range of Water Purifiers complete with their best-discounted price and full specifications. MILANO BEVERLY RO+UV WATER PURIFIER makes drinking water pure without any use of chemicals like Chlorine, Bromine or Iodine. It features advanced 6-stage purification process and even provides Integrated water-route system. These purifiers use Reverse Osmosis and Ultraviolet technology to make water potable for you and can save more space for your kitchen without pressure tank. The retail price is AED1,399.00 but you get a complete package for absolute health assurance. Most of the purifiers fail to retain minerals and thus give us mineral deficit water which is not the perfect drinking water. For its mineral retention power, we have introduced Milano RO 4 stage water purifier with a compact and fashionably crafted by Italian design. Which can be installed as wall mount or kept on the desktop. It is a superior 4 stage water purifier which provides the ultimate in drinking water quality with free installation and a one year warranty including consumables (filters & membranes) and spare parts. The UV+UF method incorporates both ultraviolet and ultra-filtration technologies for the purification process. In this technology, water is purified in a multi-stage cleaning process in which germs, bacteria, dirt, and microorganisms are killed and then, dissolved salts and impurities in the water are removed. Set your hands free by Fixed water volume function and we can save 30% of energy by poweroff the heating system through the night by SMART detector. The price in UAE is AED1,499.00 only, but we get a free installation option by the manufacturer, For requesting an installation/demo for this product once delivered.